The firm of Ruth Ann Michnay, P.A. provides tax representation, preparation, small business consulting, and accounting/payroll services. Ruth Ann has served the Twin Cities for over 25 years, she is a CPA, an Enrolled Agent, U.S. Tax Court Practitioner, holds a Master of Business Tax from University of Minnesota – Carlson, and was an adjunct professor for 13 years. Whichever the need in individual or business, we're here to help. All you need to do is give us a call. We are on your side of the tax equation. In the meantime, please look around our site to learn more about what we can offer you. If you have any questions or concerns, please don't hesitate to contact us at any time. Ruth Ann has won several IRS Offer in Compromises for her clients. She has been successful in IRS Innocent Spouse cases and representing clients in IRS and Minnesota tax audits. "We work as a team to be successful." Ruth Ann has won several IRS Offer in Compromises for her clients. During the 2015 winter months Ruth Ann won an IRS Innocent Spouse case and another IRS Offer in Compromise case. Update: Another IRS Offer in Compromise case was won winter 2016. Ruth Ann is one of the hardest-working, tenacious and patient people I have ever had the good fortune to know. I am sure her success in winning an Offer for me would never have happened without her astute assessment of my case. I cannot say enough about her level of honesty, methodical style and close attention to detail. We always worked as a team to help keep costs down, and she kept me informed of the balance on her services at all times. I am grateful for her great skills and supportive nature throughout a difficult process! As a small business owner with engineering experience but no accounting expertise, having external professional support is essential. 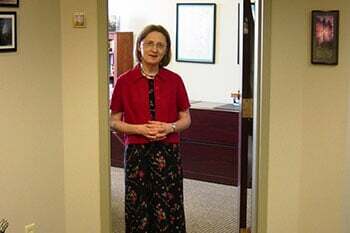 I have been working with Ruth Ann Michnay for 8 years and rely on her character, knowledge, patience and attention to detail to stay in compliance with constantly changing, complex tax laws. She is willing to do all financial tasks that arise or to train me in areas that I can handle myself in order to save money. She is critical resource for my business. Ruth Ann has done my taxes for about 10 years. When I got married a few years ago, my husband insisted on doing our taxes, as he had done his own for about 15 years – I convinced him to let Ruth Ann do them too, she found $300 more in refunds than my husband had. We have continue to use her every year! 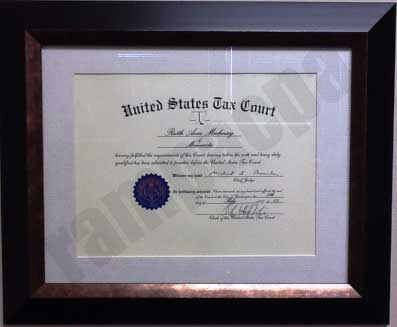 Ruth Ann Michnay is trustworthy, efficient, well-organized, and has exercised confidentiality regarding the individual client’s tax preparation and tax filings. She was referred to me by an established accounting from (which has been in practice over three decades) and has met my expectations, having demonstrated, professionalism, an excellent command of the intricacies of State and Federal annual legal changes, a sensitivity to my needs, and a personable manner in communications. I especially appreciate that she has taken the initiative in giving annual, first quarter client updates, to facilitate the detailed processes of preparation and filing. We have been doing business with Ruth Ann for over two years. We couldn’t be happier with her services. She is helpful, patient, thorough, and extremely knowledgeable. She is a small firm, but that is one of the things that we really enjoy about working with her; she has taken the time to get to know our business, as well as our specific and individual needs. Ruth Ann takes the time to answer our questions and make sure we have a complete understanding of the answers she gives. I have recommended her to others, and would continue to do so in the future. We are a military family and have enjoyed working with Ruth Ann for the past 5 years. She is experienced and helps us understand our taxes. She is very personal and promptly responds to our calls and e-mails.